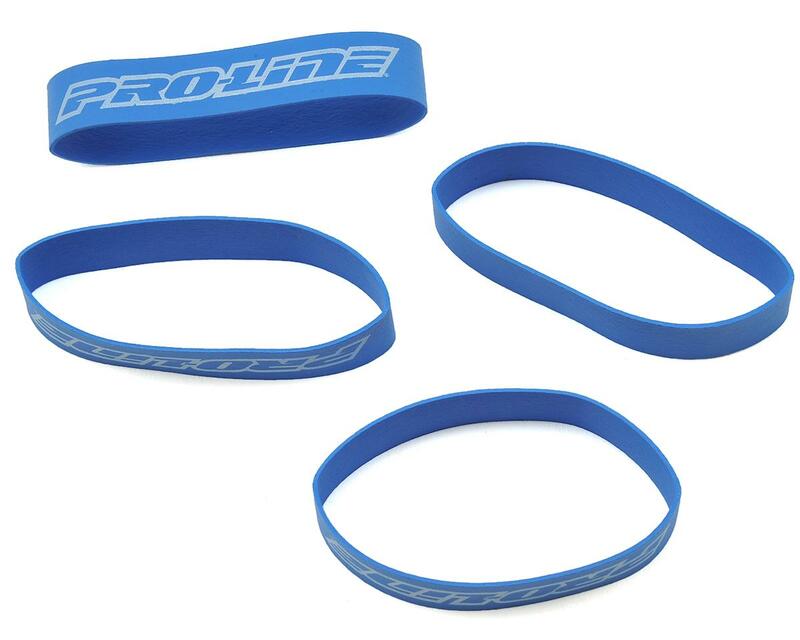 This is a pack of four Pro-Line Rubber Tire Glue Bands. These bands were specifically designed for holding tires down during the gluing process while still being stretchy enough to work on multiple sizes of tires. 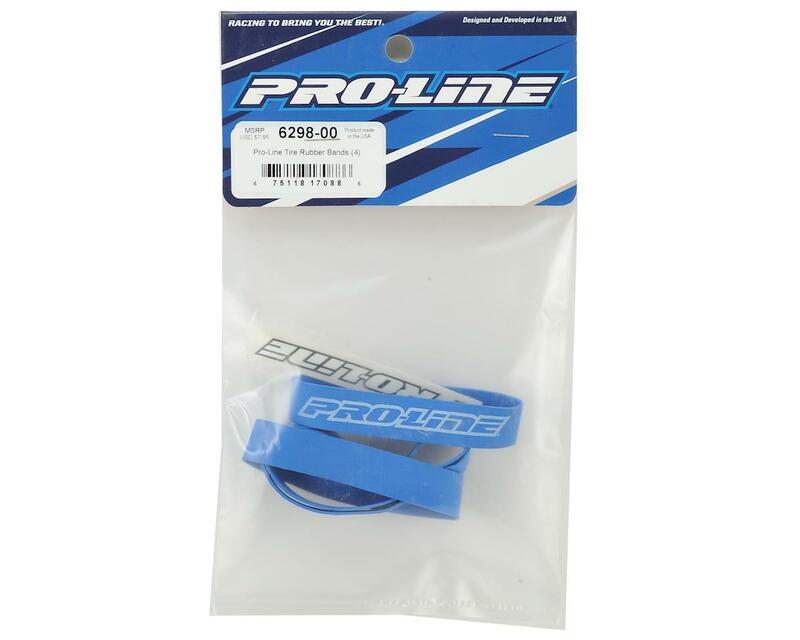 From 1/10 buggy and truck, to SC and all the way up to 1/8 buggy, Pro-Line’s tire bands perform flawlessly and look good while doing.